Young footballers in Holmes Chapel are no longer using jumpers for goalposts after Chester-based MBNA donated £1,000 to help the local club buy new equipment. 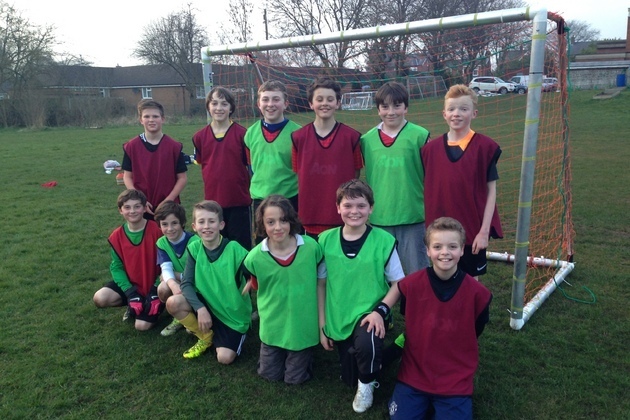 The Holmes Chapel Hurricanes under 12s team received a grant through The MBNA Foundation – the lender’s charitable giving arm – and used the money to buy six portable goalposts for the team. Meriel Holmes from MBNA’s Business Analysts team applied for the donation on behalf of the Hurricanes, as part of a £90,000 investment into community projects from the MBNA Foundation in 2014. She said: “The team don’t have their own training ground at the moment and have been practicing at a local school so this is the first step towards new facilities. Simon Lincoln, Joint Manager of Holmes Chapel Hurricanes, said: "On behalf of the team we want to thank the MBNA Foundation. The grant has made a huge difference to team morale and we have been using the goalposts at training every week. In addition to the community grants, the MBNA Foundation has also supplied funding for 120 schools across the North West and North Wales, which have already received a share of around £500,000 to fund ideas that enhance children’s learning environments and promote education.